For the Issa Resort 2015 Collection, Blue Farrier has imagined female artists such as Niki de Saint Phalle and Barbara Hepworth holidaying in the sun. Other Niki de Saint Phalle-influenced collections : Calla Spring/Summer 2011 (this collection featured a tile pattern which was based on Niki de Saint Phalle’s « Tarot Garden » in Tuscany), Roksanda Ilincic Spring/Summer 2013 (the paperlike and the plastic laminated fabrics in this collection, which also paid tribute to Josef Albers’ chromatic color variations, were an homage to Niki de Saint Phalle’s oeuvre), Vera Wang Spring/Summer 2009 (Niki de Saint Phalle was the starting point of this show). To read about other Barbara Hepworth-inspired collections, search for the « Barbara Hepworth » post that I have published on May 18, 2013. 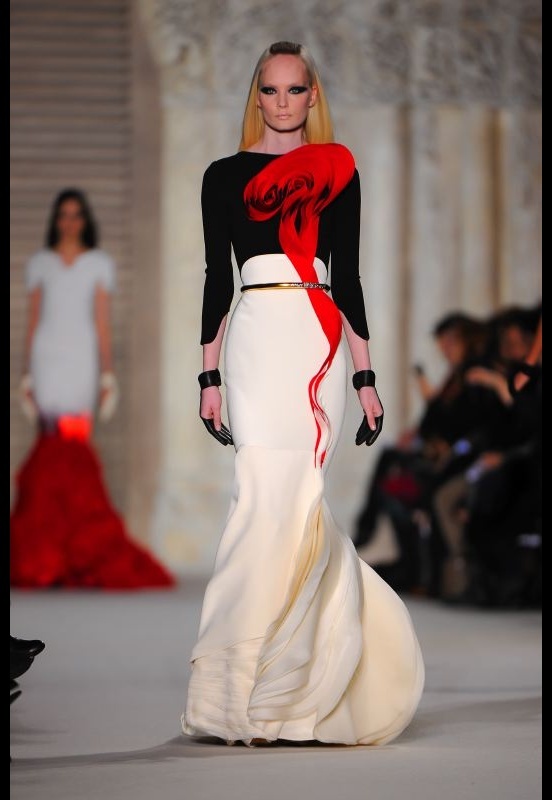 The Stéphane Rolland Couture Spring/Summer 2012 Show was influenced by Michel Deverne’s sculptures. 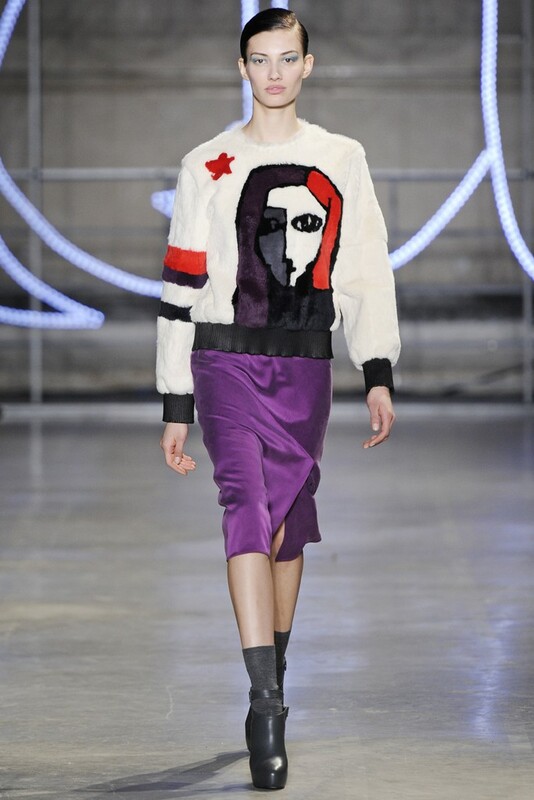 The Calvin Klein Collection by Francisco Costa Pre-Fall 2014 Show was based on Mike Kelley’s cozy and innocent work. 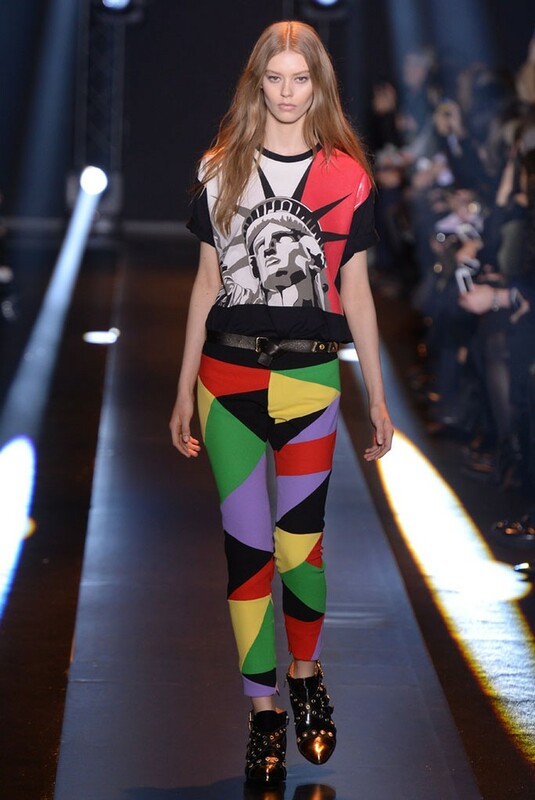 Another Mike Kelley-inspired collection : Calvin Klein Collection by Francisco Costa Autumn/Winter 2014-2015 (this show referenced a youthful sense of play and Mike Kelley’s exhibition at New York’s MoMA PS1, from October 13, 2013 until February 2, 2014). Rachel Whiteread’s concept of negative space influenced the Jaeger London by Stuart Stockdale Spring/Summer 2011 Show. Other Rachel Whiteread-inspired collections : Emilio de la Morena Spring/Summer 2013, TSE by Brian Reyes Pre-Fall 2012.